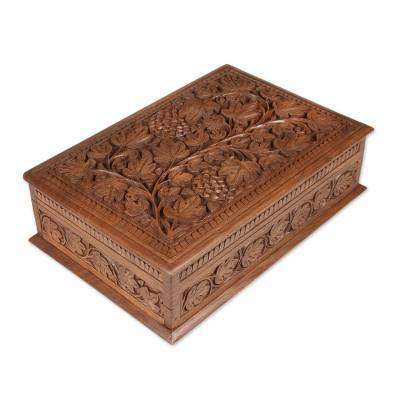 Ripe grapes hide among blossoming vines in the lavish composition of this jewelry box. 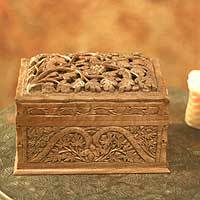 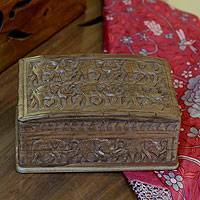 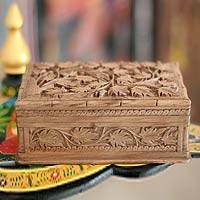 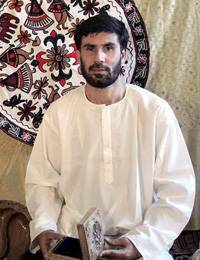 M. Ayub carves the walnut wood box by hand with admirable and expressive detail. 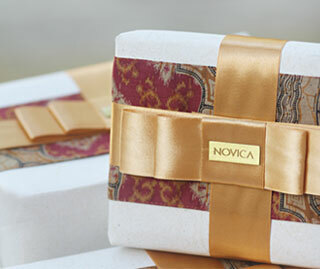 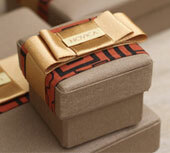 It is lined with velvet and features a removable tray, as well as a lidded compartment. 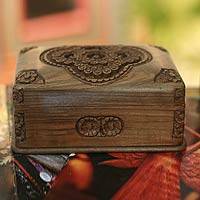 The box also features a secret locking mechanism and can be opened by sliding the lower front panel of the box to the right side.